100% of respondents to the finishing survey would recommend this training plan (10/10 rating)! "Kirk is a beast! He absolutely knows how to physically prepare for an event. He and I spent a lot of time discussing metal preparation too as we both trained for our first HCLs. His training plan gives you the keys to both physical and mental preparation and is the most comprehensive plan I’ve seen. If you want a plan that gives you the full gamut of training, preparation, gear packing, etc. this is the plan you want." Monthly, weekly, and daily challenges to push you out of your comfort zone! FEATURING Team SPEARHEAD PATHFINDER challenge WODs! Weekday sessions are typically 30-60 minutes (3x a week) and weekend (2x) are ~2-3 hours. There are 4-5 milestone workouts/events that are ~5-12 hours. 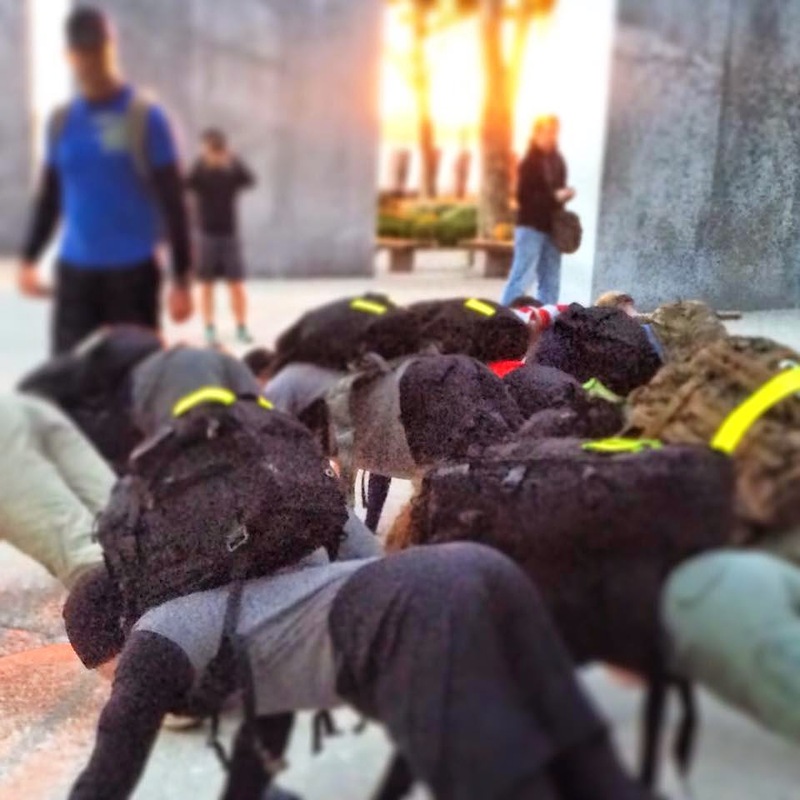 Workouts are formatted as graphics for sharing so you can post your WODs to your friends and rucking partners! "Thanks Indianapolis but that's a wrap. It's been a heavy, wet, cold weekend filled with beatdowns and pain but great teammates and tons of #goruck love make it all worth it. Shout out to @mettleforger for making a great training plan!" "Your HTL guide is awesome. Helped be get through my line in April in Jacksonville. Your training program was instrumental in attaining my HTL patch 💪👍, Thank you"
"I like the challenges... They definitely get me out of my comfort zone." "The volume of reps in the challenges helped prepare my muscles to be resilient to fatigue so that the PT test and welcome party did not leave me exhausted prior to beginning the HCL"
"The challenges were a test of various components of my fitness and helped identify areas of improvement prior to my HCL."